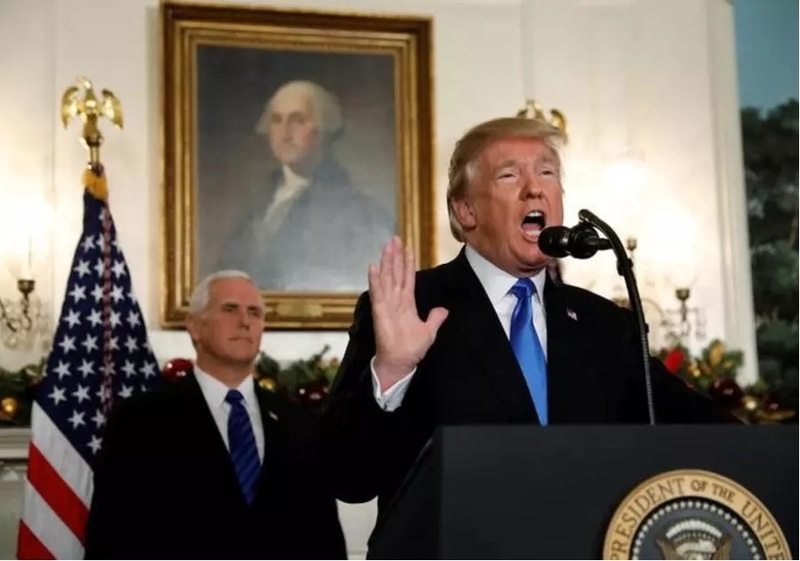 It has now been a year since President Trump’s announcement that the United States would be moving its embassy to Jerusalem and recognising it as the capital of Israel. Over the past 12 months, the US has not only carried through this commitment, but it has also withdrawn from the notoriously anti-Israel UN Human Rights Council. Sadly, the bold decisive steps taken in Washington have not been repeated in London. In June, I raised the issue of the Human Rights Council in the House of Commons. While the government has been content to admit the Council’s flaws, it has so far opted against further action, with then-Foreign Secretary Boris Johnson stating that “we are committed to working to strengthen the council from within”. The problem with this approach of course is that the Council has proven time and time again to be beyond any kind of meaningful reform. Since its inception in 2006, the Council has not only failed to promote human rights, but even indirectly aids the worst abusers allowing them to cover up their crimes. Currently, 47 member states serve on the Council, and all are elected onto it by the UN General Assembly. The problem? Among its current members, the Council includes some of the most oppressive and illiberal countries in the world, including: China, Cuba, Pakistan, Qatar, Saudi Arabia and Venezuela. As recently as October, serial abusers such as Eritrea and the Philippines were elected to the Council to serve three year terms. Clearly, the British position of “reform from within” is not working. This farce would at least be partially admissible if the Council made a sincere effort to promote human rights; and took an objective stance on calling out gross rights violations wherever they occur. But they do not. According to the NGO UN Watch, between 2006 and 2016 the Human Rights Council issued 68 specific condemnations of Israel, far more than any other country. Syria, whose government routinely massacres its own civilians, followed in second with 20 condemnations, while Burma and North Korea followed with 11 and 9 respectively. A number of states didn’t receive a single condemnation, despite regular and extreme human rights violations. These included: China, Russia, Venezuela, Yemen and Zimbabwe. The issue here is not so much the criticism of Israel. The problem is that Israel is routinely singled out by the Council to a disproportionate extent, while countries which commit far worse acts often receive no criticism whatsoever. How can Israel, a modern democracy with an independent press, judiciary and Parliament – a country where LGBT pride parades are accepted and gay soldiers serve in the armed forces – be condemned several dozen times while Iran, a place where homosexuals are relentlessly persecuted up to and including execution, receive just 6 condemnations? How can Eritrea, a country routinely ranked as one of the single most repressive nations on the planet, be condemned less than a tenth as frequently than Israel, the only full democracy in the Middle East? Despite Israelis enjoying freedoms and rights in their own country which the majority of the world’s governments have yet to grant, the so-called Human Rights Council have somehow come to the conclusion that it is Israel which is by far the world’s worst human rights violator. The outgoing US ambassador to the UN, Nikki Haley, was right when she condemned the council for its “unending hostility” towards Israel. And President Trump didn’t mince his words. He went further, referring to the Council as a “cesspool of political bias”. It is already clear that those on the Council who wish to advance the cause of Human Rights everywhere are outnumbered by those who seek to whitewash violations when it doesn’t suit their political agenda. Donald Trump has more than his fair share of faults. His policies on Israel however have been spot on. The UK should follow his lead and not only withdraw from the UN Human Rights Council but move its embassy to Jerusalem too. Despite some bumps in the road, the United Kingdom and Israel have a long history of friendship and cooperation. Friends don’t like to see their friends attacked, particularly in the case of Israel, which is subjected to more exaggerated and superfluous judgements than any other nation on Earth. But we should also deepen our ties to Israel because it is in Britain’s own interests to do so. We owe it not just to ourselves but to the entire world to encourage liberal democracy to flourish and to oppose the spread of tyranny. Israel is one such democracy, surrounded by illiberal and often totalitarian dictatorships. If the rest of the Middle East were like Israel, the entire region would be a more prosperous and peaceful place. On this issue, the British government could do so much more.